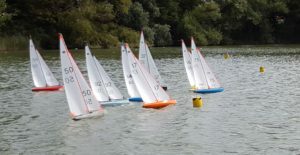 The Sedgemoor Club has a very active IOM yacht racing section which sail throughout the year on Apex Lake and we are affiliated to the MYA. 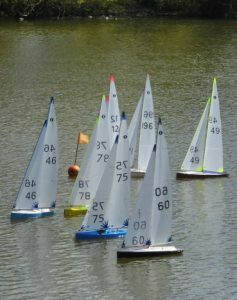 We are lucky to have some very experienced skippers who compete at South West District and National events. In 2018 we were the south west MYA Club Champions! At club level there are many race meetings all year around. 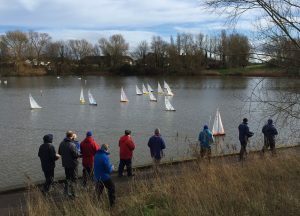 The Winter Series is held fortnightly on Sunday mornings from October until March. From April until Sept meetings are held on many Sundays mornings (Spring and Summer Series) and also on Wednesday evenings. See the Calendar page for all dates.